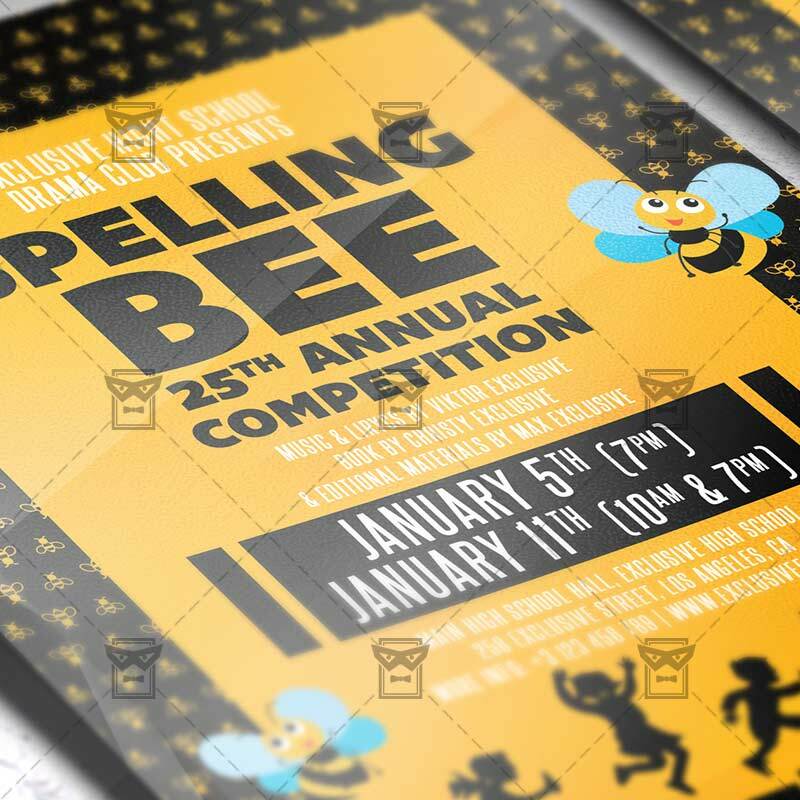 The Spelling Bee Contest is the exclusive Photoshop PSD flyer template designed by ExclusiveFlyer to promote your Spelling Bee Contest. This is a modern, stylish flyer and just be used for Spelling Bee Competition, Spelling Bee School Contest etc. SKU: 0.2114. Categories: Back To School/University Flyers, Seasonal Flyers. Tags: read a thon, school contest, spell a thon, spelling bee, spelling competition, spelling contest. 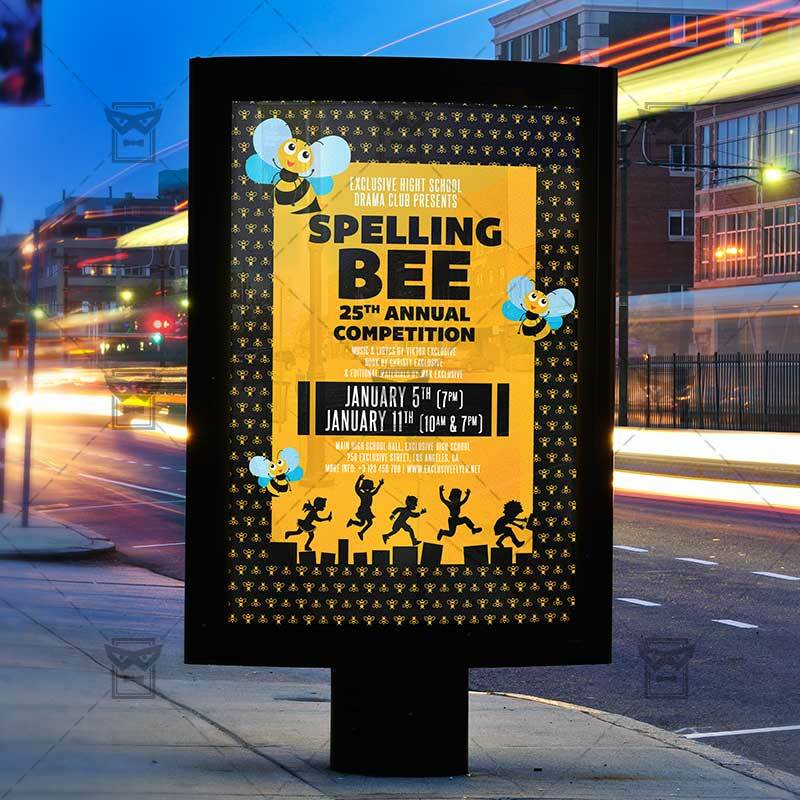 The Spelling Bee Competition is the exclusive Photoshop PSD flyer template designed by ExclusiveFlyer to promote your Spelling Bee Contest. 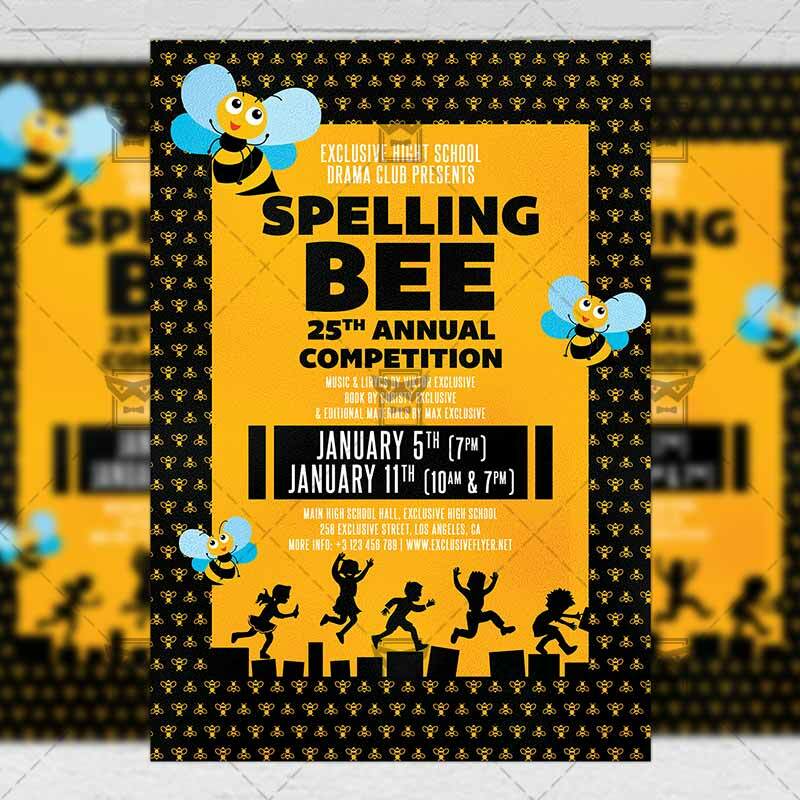 This is a modern, stylish flyer and just be used for Spelling Bee Competition, Spelling Bee School Contest etc.